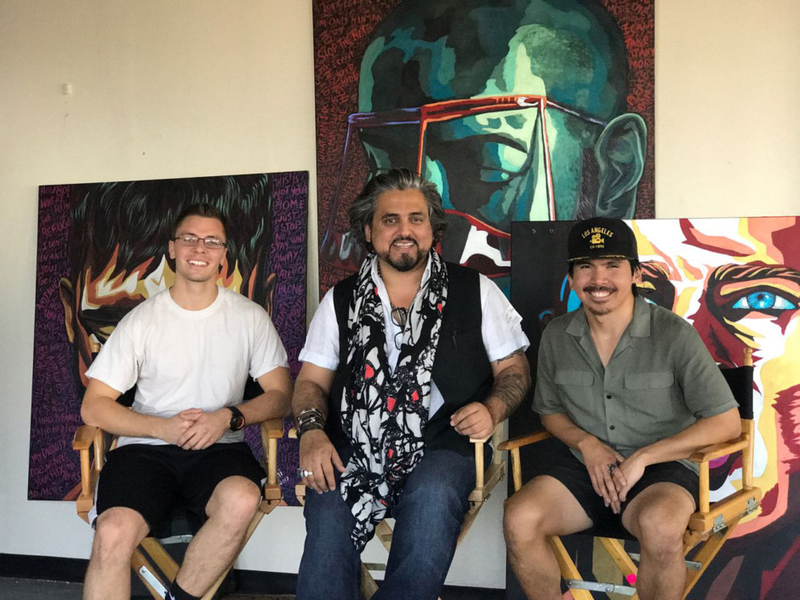 Muscat: A Muscat-based artist is drawing on his Sufi roots and eclectic influences to take his art to the world, showcasing his work in the USA and featuring in a Hollywood production. Ibrahim Gailani, born in Pakistan and raised in the UAE, traces his family roots back to a legendary Sufi saint of the Indian sub-continent - Sheikh Abdul Qader Gailani. The self-taught contemporary artist lists two major influences on his work. The first is his Sufi heritage, which he feels is a quest for truth, and “an unending strive for redemption”. The second influence that informs his work is Mexican painter Frida Kahlo, the queen of self-portraits. 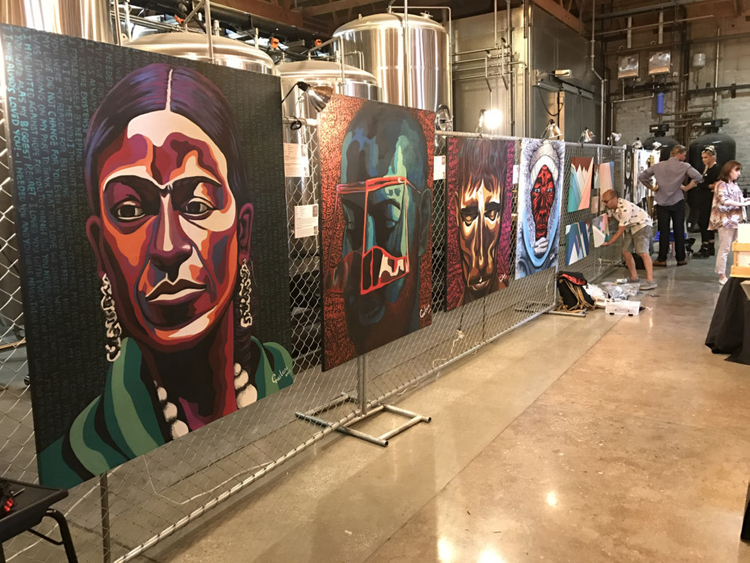 Drawing on these influences, Gailani’s success story began last year when one of his paintings was selected for the unique Coffee Art Festival in New York. 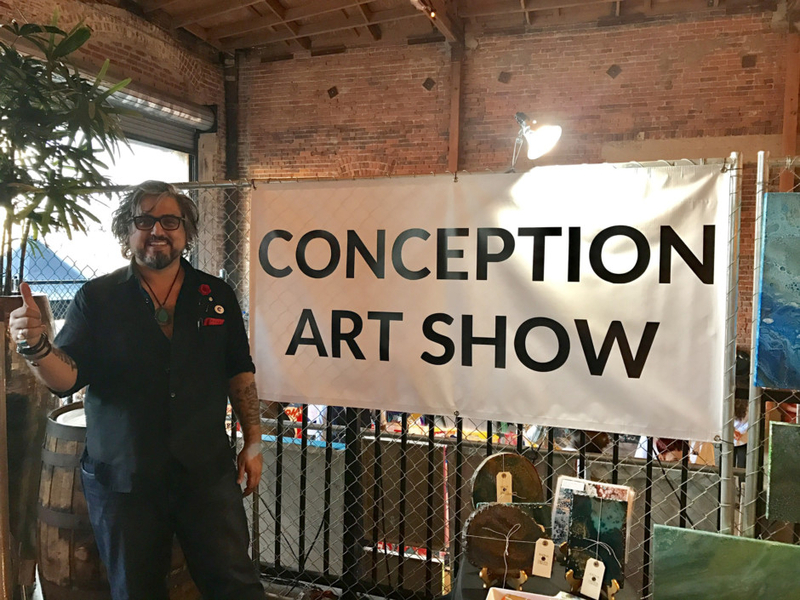 The festival sees artists from all over the world converge in the Big Apple with works of various styles and drawing from diverse inspirations – all under the umbrella theme of coffee. One of Gailani’s paintings, where he used crushed coffee dipped in gold, won him accolades and was bought by Illy Cafe house. It is currently displayed at one of its Manhattan locations. 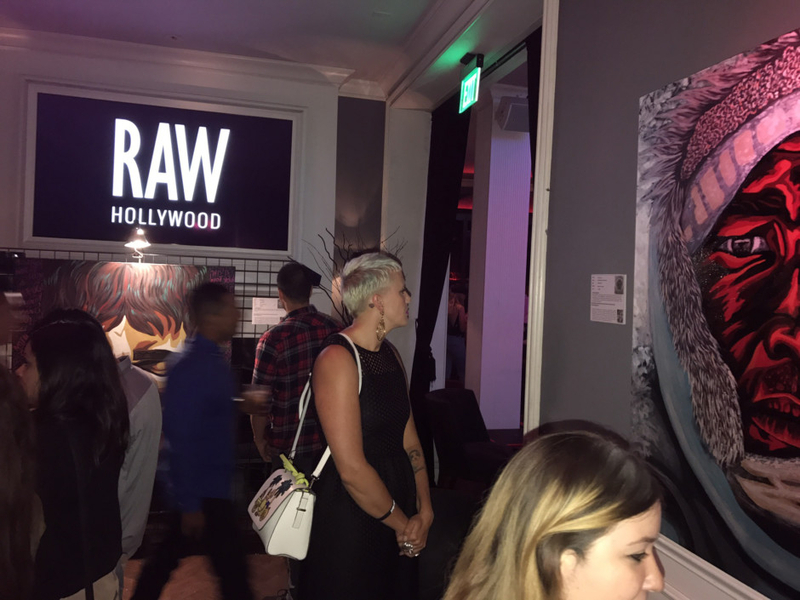 More importantly, the appreciation he got at the festival led to the biggest showcase of his art in the US when he got the opportunity to display his work at the Raw exhibition in Hollywood, which is a showcase of different genres of art under one roof at Sunset Boulevard in Hollywood. Thereafter, Gailani’s participation in an art event at the Los Angeles Film School didn’t go unnoticed. He let his brush do the talking as he showcased five large paintings. Among his most acclaimed pieces were a pop-art painting of refugees and a portrait of Mexican painter Frida Kahlo — one of Gailani major inspirations. This latter work is now being exhibited at the 17th annual Frida Kahlo exhibition in Long Beach, California, which will conclude next month. All this exposure earned Gailani the rare feat of being featured in a Hollywood film production titled Untitled 9. Directed by Tyler Curry and produced by Russell Namalata, it is a satire on art, focusing on minimalist, abstract paintings. But the road to global recognition has been a long and arduous one for Gailani. Opening up to Gulf News about his life and artistic journey, he says the road was filled with several obstacles and impediments. The first was his family background and the society around him. Not only was his talent for art discouraged, but it was drilled into him that in pursuing his creative instincts he risked becoming “a starving artist on the streets”. Obtaining an MBA degree, Gailiani sacrificed his dream of becoming an artist and plunged into the corporate career that his family approved. And while he was successful for the next few years of his life, being parted from his passion led to depression and a feeling that his creativity was being suffocated. Twenty years later, as a top-tier executive, he found himself in extreme despair. It was at this point that his wife handed him a canvas and encouraged him to express himself again and get over his creative block. A trip to Europe served as a breath of fresh air. The way that the Berlin Wall or ‘The Iron Curtain’ was brought down for German reunification resonated with Gailani as a symbol of freedom in his artistic journey. He captured the feeling in a portrait titled ‘Deliverance’, which is also inspired from the life of Frida Kahlo and marks the artistic expression of 20 years of his suffocation. And then came a lucky break that proved to be a turning point. A work assignment with Oman Arab Bank brought him to the Sultanate where he started getting abundant opportunities for self-expression. One of the concepts he has pioneered in Oman is the ‘The Gailani Art Retreat’, a unique retreat that promotes healing through art. Held every month at the Grand Hormuz Hotel, it is a place “where creative minds converge and celebrate their individuality and connect with their artistic soul”, he says. Gailani has also launched his book - Gailani - An Artistic Journey - a memoir of his life etched through his paintings. The book is a testimony to struggling artists on how to stay focussed, to survive against all odds and reach their destination, he explains. A pilgrimage of his artistic life would be to produce a dream collection with Frida Kahlo as the theme and exhibit it outside her home in Mexico City. A recipient of international awards for his eclectic expressions, Gailani’s message to artists around the world is to fill the universe with positivity and love in abundance.